Basic H® is an official Earth Day product which has been recognized for its safety and effectiveness in cleaning. Because Basic H has been used for many applications beyond its label, we share these experiences that have been shared with us. The goal and intent is to help you find natural solutions for your farming and ranching operation that will protect the environment and bring you greater profit by reducing chemicals and raising healthier crops and cattle. Best wishes and we would love to hear your personal experience using Basic H®. Please let me know if you have any questions. Question: How long have you been farming & ranching? What is the current size of your operation? 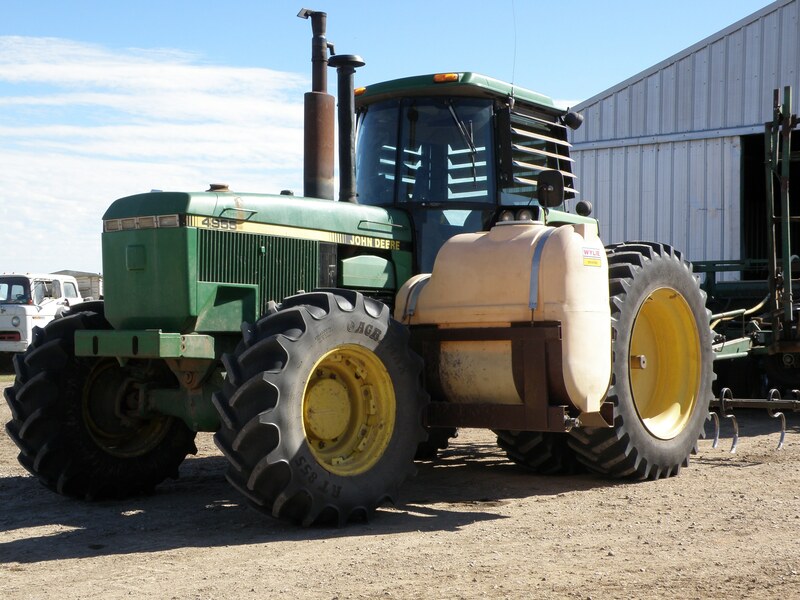 Answer: Fred and I have been in the farming ranching aspect of our operation for 27 years. We began with only a 50 cow herd and most of the cows were bought from local producers and close sale barns. After several years of the small herd we began looking at more pure bred cows such as Limousine, Brangus and crossbred black white face cattle. These, of course, were a cross between any black breed and Herford. After learning that our area was bad for cows that had white faces we decided to change to straight black cows, as most of the time black calves brought more money at the sale barn than red, brindle or light colored crossbred. 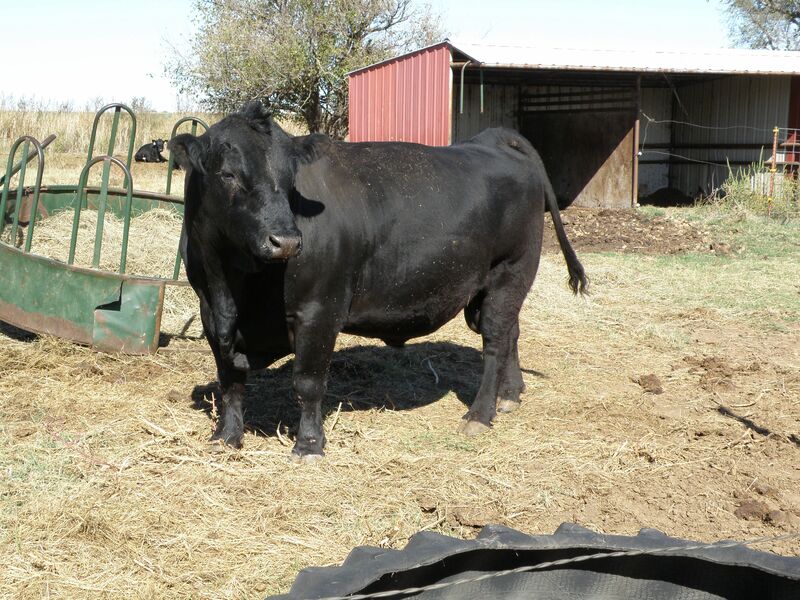 After meeting someone who taught us more about genetics in the Angus breed, we changed to a heavily bred Angus. At that time, the population was leaning toward a leaner type of red meat, which the Angus breed produces. This trait intrigued us. So we purchased 3 registered Angus bulls and put them on our crossbred black cows. The calf crop was very nice and we topped the sale barn at Cherokee, OK. So we were off. 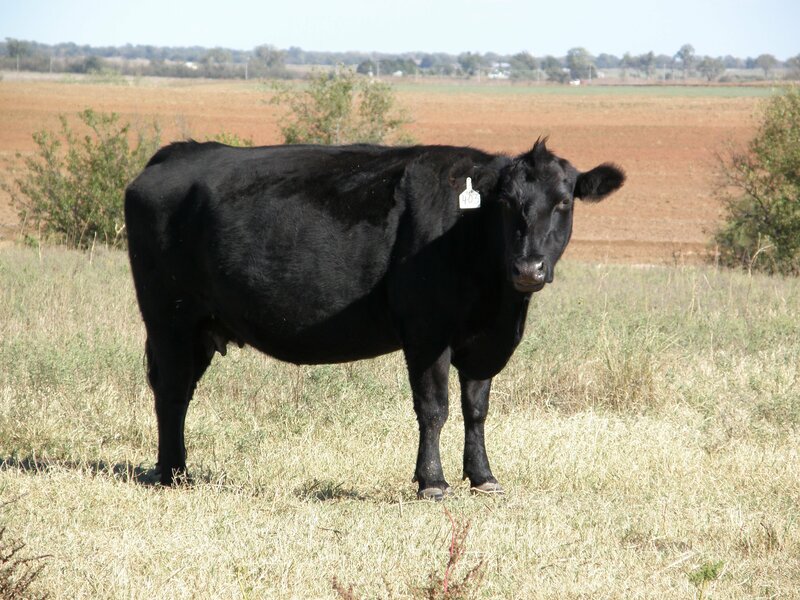 In 2010, since our crossbred cows were getting older, we decided it would be a good point in time to change to a heavier bred Black Angus herd. 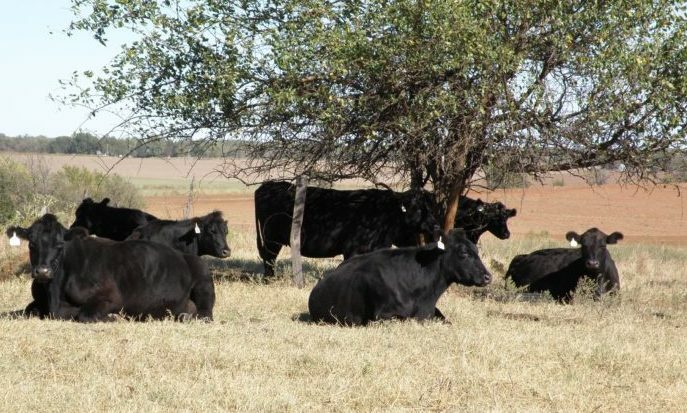 We currently have 50 registered Black Angus cows & calves and the balance of the herd has a heavy base of Black Angus with Maine Anjou or Simmental with a total of 250 head. Yes, we still have crossbred cattle. We are tweaking our herd for heavy marbling, docility, body mass and production for the commercial market as well as for the Club Calf market; but everything is black, except for one Elite red cow that will have a club calf. One thing I have to say is I know a tremendous amount about Equines and when our operation changed practically overnight, I realized I needed to come up to speed on basic cattle, how to care and feed them. Let me tell you what, it’s not as easy as one would think. A cow is 100% different than a horse and they require different needs. I am now enrolled in a Master Cattleman’s Class and I am improving on my knowledge. The genetic part is extensive, too. This will take years for me to learn, but I’m on my way! In addition to naturally breed with our Angus bulls, we have done AI (artificial insemination) with a select number of cows we call “elite” cows. We did this so we could have elite calves to sell to customers that want to add or start a program with “top quality” calves. Approximately 25 head of cows that are in the elite category are bred to “Club Calf” sires that have become champions. These calves are placed in a special environment to become docile by special handling and close feeding exercises. The calves that go forward to the show calf world become a child’s best buddy and show at local county fairs, state fairs and some even make it to the big top which are called the Nationals. Our current goal which may be changed from time to time in order to keep up with future customers is not so simple. We will be striving to breed, feed, care and raise to a 18-month-old elite heifers. This is something that we have done research on and it appears that most Angus breeders in Oklahoma raise bulls and lack cow power. What I mean by that is, you must have a great cow to make a great calf. Many of the breeders have not added enough body or docile attitudes to their cattle. We hope to correct this in our own herd and pass these traits on to customers. With that said, we also will be raising bulls in this elite status. Question:In your 27 years of experience, what changes have you seen in farming and ranching as it relates to protecting the environment? Tell us how important you feel it is and the benefits you see in raising healthy cattle as naturally as possible. Answer: We have made many changes to our operation in the last 27 years. Always, we are learning new techniques to add or take away to save money and time and work load. By changes I mean, during the planting season we spray our fields for toxic weeds and unwanted grasses to conserve the moisture. By doing this, one application of a generic chemical and BASIC H used to cut the cost, and give the application more punch. We find that this method keeps us from going over the field more than needed which protects the soil and air. Our cattle operation has changed 360 degrees. We sold over 200 head to replace them with more efficient ones and are backed by the Angus Association. We are currently striving for elite heifers that we will raise and sell either by private sale or through a sale facility. These cattle gain more on less feed and are docile which is important when putting them through a vaccination or AI process. They stress less and the process runs much more quickly and efficiently. Note: Even on the Natural Beef Program, cattle require vaccinations to avoid many diseases. In our natural beef any calf that is for sale is pulled if it becomes ill and receives any type of antibiotic or injection that eliminates it from the natural beef program. No steroids are used in any of our cattle. Question: Specifically, how does raising healthy cattle using natural products, techniques and methods impact grazing and breeding? 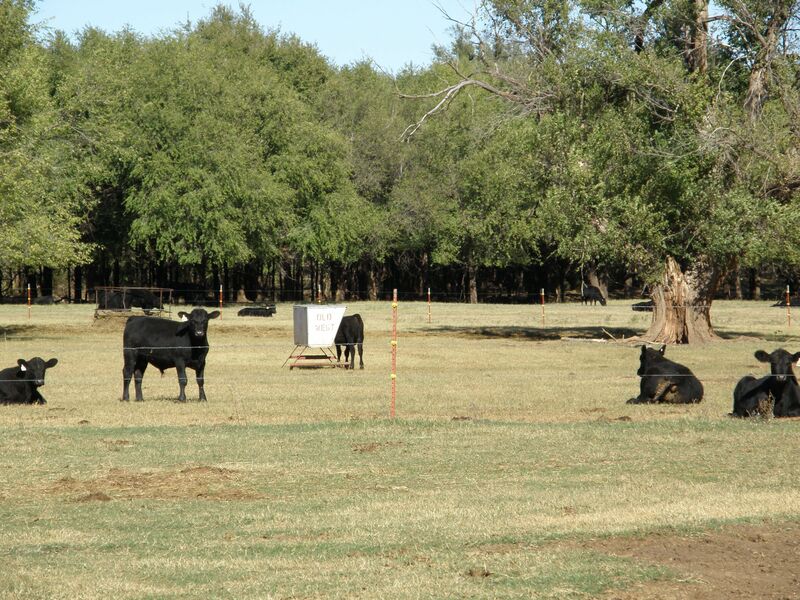 Answer: Grazing is a huge part of our cattle operation. They are all allowed large pastures or lots to relax in. Shade and clean fresh water with BASIC H® in it is free choice. BASIC H® helps the rumen work and allows the process of scatter-ing the manure with a tractor and harrow easy as each pile is broken up into many thousands of pieces. Of course, BASIC H® use in the water eliminates any parasite that might be in the digestion area. We never see any parasites in the manure as the BASIC H® destroys them. We also use BASIC H® as a fly control and works well in the hot summer months, the flies won’t light! We feel with the application of BASIC H® in our operation keeps our cattle healthier and when you have healthy cattle the conception rate is better. Question: Are there other applications you find for BASIC H? Answer: Hoof Rot is a major problem when flies are present. When we have a case in our cows we typically, inject them with a vaccine and I clean the area with a 2 to 1 ratio of Basic H® and water. Then apply a Betadine solution. Many times only one application is needed. 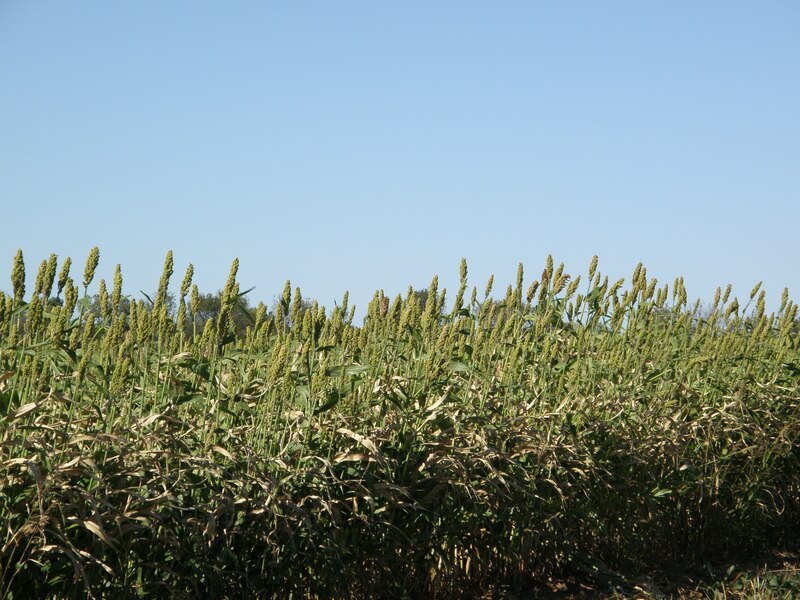 BASIC H® Classic may be used as a soil conditioner to improve moisture and speed germination.